As we enter another school year it is important that student learn to again balance schoolwork and studying at home and staying consistent in the dojo. The discipline and concentration skills we are working on here will enhance their abilities in the classroom and on athletic areas. Remember, we like to see report cards at the end of each marking period. We like to see the progress that students are making in the classroom as well as the notations made by teachers concerning the areas beyond grades and attendance. Belt colors are a sign of promotion and attaining the understanding of at least a minimum amount of knowledge. Once a black belt is attained a red stripe designates the level of rank. The first stripe is awarded at least six months after the black belt is earned. In keeping with what many dojos currently do, the person earning the 4th degree status will wear a horizontal red and white belt with the white stripe on the top. The red stripe is placed on top at 5th degree. At 6th degree a red and white paneled belt is awarded. As the individual progresses in rank the red segment on the belt increases until at 9th degree when a red belt is awarded. During a recent class with just a few students in attendance due to vacation schedules, I had time to work closely with one student for the entire class. Though it was evident that the student had not practiced the primary basics and kicks, pinan or Seisan Kata recently, the student demonstrated enthusiasm while in the dojo. 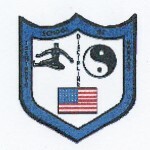 Similar to learning and development in school, training in our dojo helps the student to learn many things about karate, self-defense, balance, timing and distancing within kata and sparring, coordination, development of strength and power (internal and physical), and much about one’s self as the individual moves from rank to rank. It is difficult at times to refresh things that were learned previously, yet to be a good disciplined student this is necessary at every level. If this is done regularly for children and adults, learning will be easier, promotions will be earned more quickly and frustration and stress will be kept to a minimum. In basics, kata, self-defense and sparring, there are many elements that combine to add interest, understanding and usefulness while training. Some key pieces to each are stances, tempo and timing and an appropriate pattern. It is also important to visualize the imaginary opponent. As this is done, practice as though the student is being attacked and then each technique, counter or combination of techniques must respond appropriately with intensity, power and focus. Doing this the student will gain insight into the technique, achieve advancement of ability and better physical conditioning. Equally important to the above elements is the need to develop proper posture and stances. One’s posture is always erect finding the head, neck, shoulder, back and hips in line. This aspect of each stance does not deviate and any change affects balance, movement, and focus of power. Each stance has its unique qualities and applications. Our ready stance (Heiko Dachi) has the feet parallel, which is the meaning of the word heiko and as wide as one’s hips. There is equal weight on each foot, the knees are bent covering the toes and legs are directly over the feet, creating a position from which movement may be performed without telegraphing one’s intent. Seisan stance (from the first kata) has the feet parallel at shoulder with. The heel of the front foot is in line with the toes of the rear foot. Again, the knees are bent covering the toes. One’s balance is centered and movement should be accomplished without leaning. Seiuchin stance (from the second kata) finds the heels at shoulder’s width and the feet are at a 45-degree outward angle. The knees are bent so they cover the toes. Equal weight is distributed on each foot. There is great strength from side to side but less if force is applied backward from an opponent because of the nature of the stance. Naihanchi stance again finds the heels in line with the shoulders and the toes point inward at a 45-degree angle. The knees cover the toes and the structure of the stance help the legs protect the lower abdomen and groin. Cat stance finds the heel of the rear foot in line with the ball of the front foot. Unlike the T stance where the feet are at right angles to one another, the rear foot is at a slight forward angle. The knee of the rear foot is bent so it is beyond the toes and 90% of the weight is on the rear foot. Sanchin stance is an extremely rooted stance. The feet are shoulder width, the front foot is in line with a toe / heel position in seisan stance. The toes of the front foot are angled inward; knees are again over the toes. A specific method of tension development, chinkuchi, requires many years to understand and begin to develop. In time the adult body may be able to withstand strikes without movement. Movement between stances should find the body in alignment, starting with proper foot position and posture. The center of balance, found approximately two inches below the navel, should not rise and fall from one movement to the next. When students obi train, the belt should remain at a constant level whether moving forward or backward. Students should concentrate on moving the knee rather than the foot when setting its position in a stance. In doing so the ball of the foot is kept in contact with the floor and establishes its position before the heel. Breathing during each technique or combination of techniques finds the air being drawn in through the nose into the lower abdomen and exhaled through the mouth. Though the lungs hold the air, the abdomen and diaphragm relax and contract to help the student breath most effectively, thus being able to focus karate’s power efficiently. Proper timing of each breath is developed through understanding its use during kata and is then extended to kumite, sparring. The intricacies of proper traditional karate training were said by the founder of the style, Tatsuo Shimabuku, to Hanshi Duessel to be like a puzzle. If one piece of the puzzle’s picture is missing, then the picture is not complete because that element is missing. If the missing piece is one of the above key elements, then a large part of proper training and performance is missing. If one is not taught properly, then again the development of true karate is not accomplished. The stages of teaching begin with learning the simple form of the kihon (basics), kata, kobudo (weapons) and kumite (sparring). From this stage we progress to putting the singular pieces together into proper combinations of techniques. Then we add the proper breathing, while polishing the form further. Lastly, we work to develop strength, power, fluid motion and understanding of what is truly being done. As the student develops, he or she must accept the challenge to work to improve. To protect one’s self, the student must understand what the appropriate target is to be attacked; then use the appropriate weapon, whether hand or foot and the proper part of the hand or foot needed for the strike. Finally, the proper mechanism of delivery of the strike must be used so the form helps to enhance the power and efficiency of the strike. Mentioned above are briefly covered concepts so the student and parent may understand the importance of training properly and consistently. This is necessary if the student is to improve on the correct path. “Karatedo” – Empty Hand Way or Path. If you pay by check, please make the check to Isshin-ryu (School of Karate) and please use blue or black ink, as the bank’s scanning device does not read other colors. Thanks! If there is a topic that you would like addressed in a newsletter, please share the idea with Kyoshi.